Walking around Hanoi is exhausting. Not so much because of the heat, but because there is no room for a pedestrian in the city. Once we reached the French Quarter I was relieved and able to look elsewhere instead of continually watching my step. Ian and I headed in this part of Hanoi for Sofitel Metropole Hanoi afternoon tea. We are huge fans of afternoon teas, and for this one, we heard a lot of good things. So why not try out this Metropole Hanoi afternoon tea and check the rumors? We did and here is our Metropole Hanoi afternoon tea review, just for you. Sofitel Legend Metropole Hotel is truly majestic colonial French legacy. You can quickly understand why is this one of the best hotels in the world. 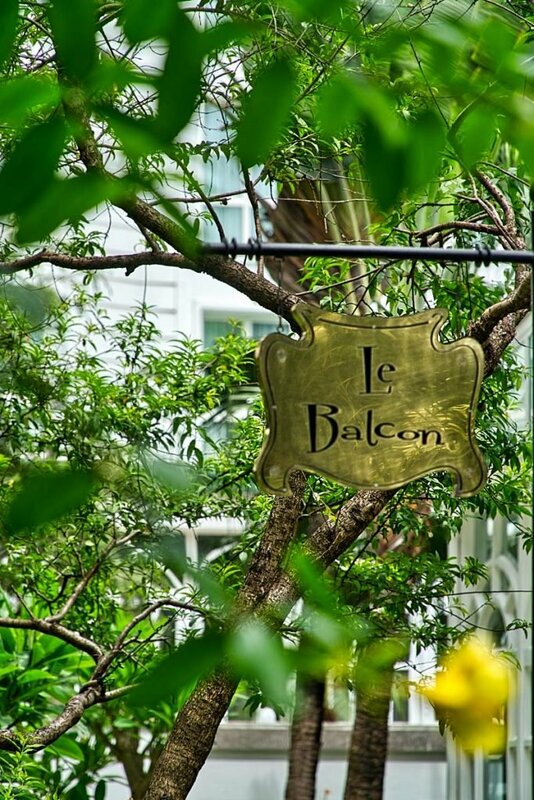 Their famous Metropole Hanoi afternoon tea is served in the lounge with a French name - Le Club. 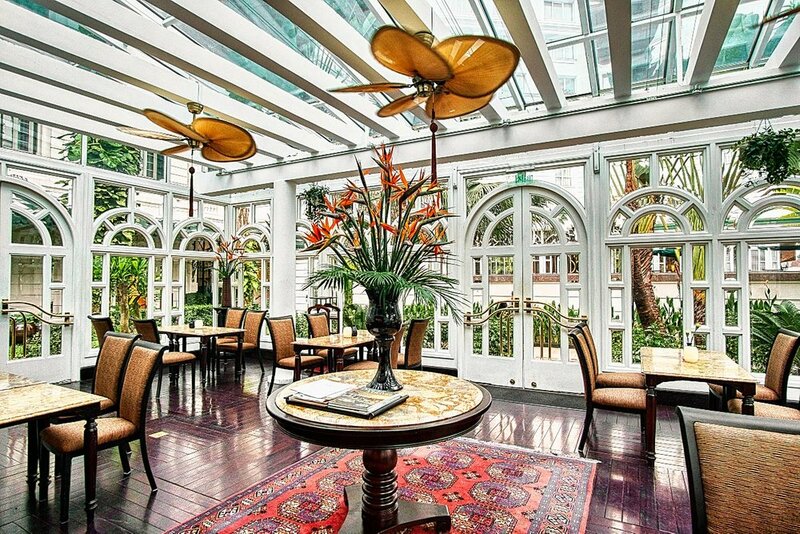 Le Club is a pleasant colonial-style lounge, mostly designed as a glasshouse. Indeed, it felt great to quieten down in a peaceful semi-glasshouse with nurtured greenery. Hotel's green garden was such a welcoming sight that we asked for the table right next to the window. Absolutely no street sounds came into the open space design of the Le Club, with »our« part safely snuggled away. 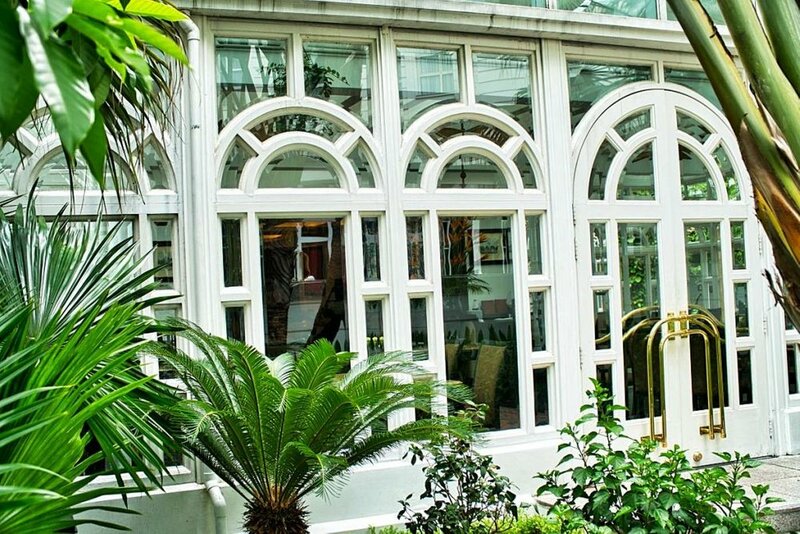 Le Club, where the Metropole Hanoi afternoon tea is served, is a classy lounge with great glasshouse on the sides. When I say »our« I mean the few separate tables with open pathway on each side. Not being on the open and jet a part of a bigger picture was perfect for our afternoon tea time. 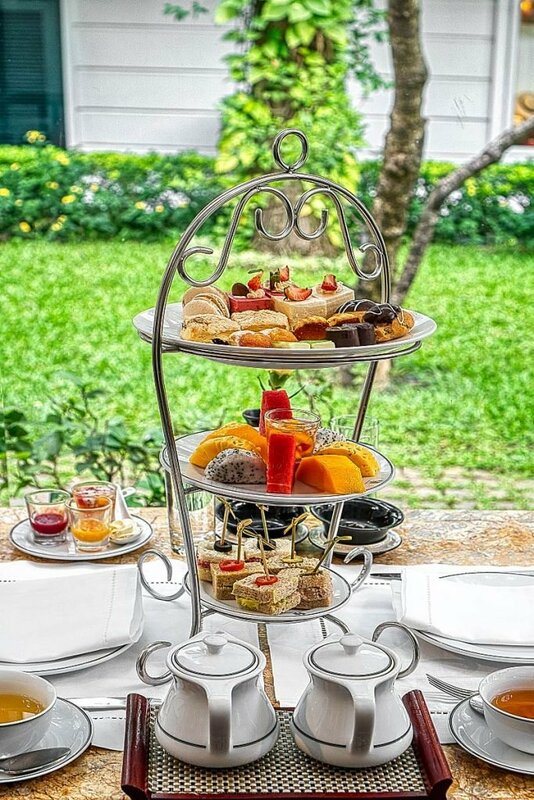 Given that this is one of the most popular afternoon teas in Hanoi, let us not forget that it is also a beloved place for lunch gatherings and evening catch-ups. At night the glamourous speakeasy of the 1920's style is the most noticeable, especially with live jazz tunes. In a word, this place is perfect for this classy Metropole Hanoi afternoon tea. Le Club is a pleasant colonial-style lounge with plenty of natural light and lovely bamboo fans. 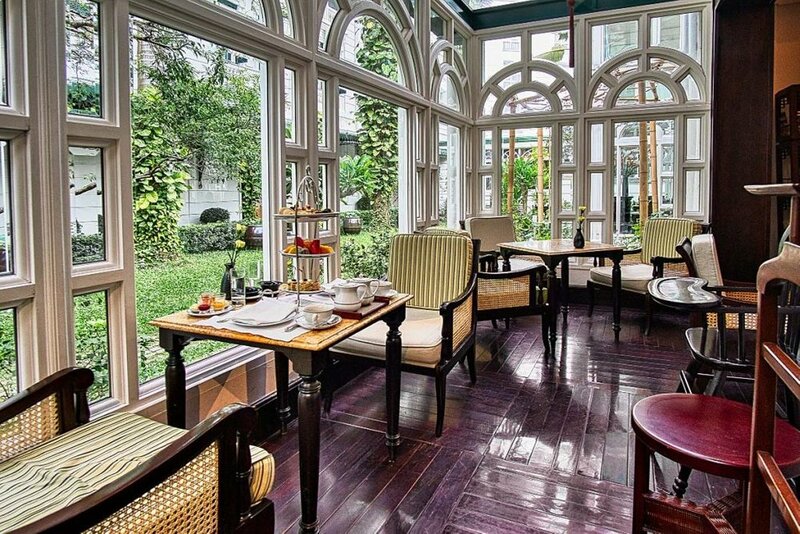 What a great place for this classy Metropole Hanoi afternoon tea, right? 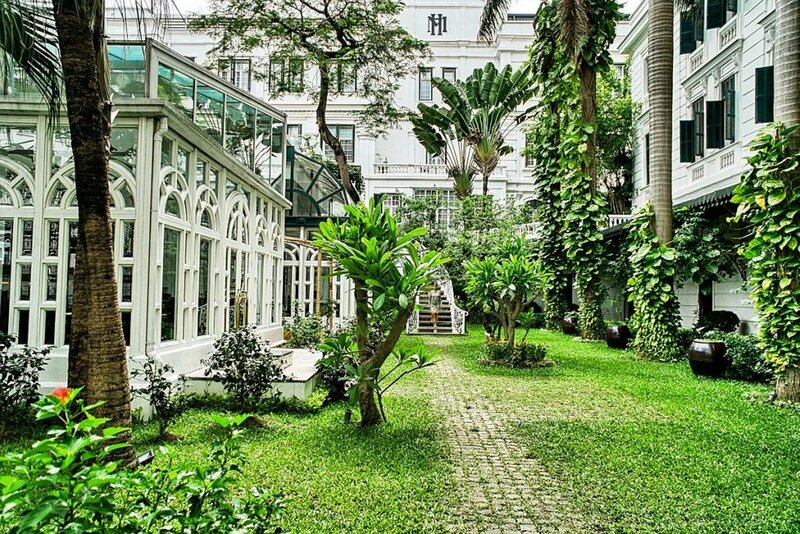 Metropole Hanoi Hotel's green garden is such a welcoming sight that we wanted to sit right next to the window. Atmosphere score for Metropole afternoon tea is high for sure. I love it when the tea menu gets exchanged for the actual tea samples. This way I can't misinterpret the tea name and end up second guessing my final choice. It is exciting for me when I can see and smell the tea before deciding which one I want. 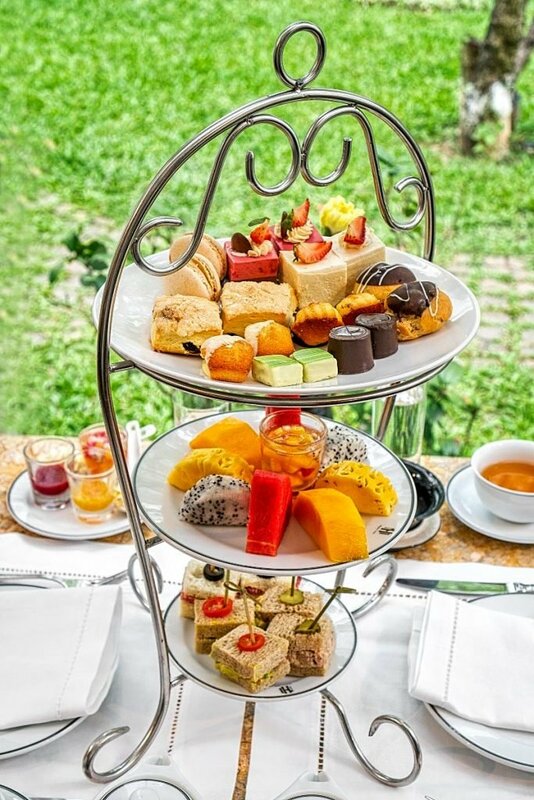 Luckily, here at Metropole Hanoi afternoon tea, you can check all teas before you decide. Of course, I'm always tempted to smell all samples and then make a narrower selection. But I know that by doing so I would leave everyone around me anxious. To avoid rolling eyes, I quickly scanned the content of 21 teas stored in small glass bottles. At that time Ian already announced his choice, the no. 10, Melange Oriental. Naturally, I returned to the first bottle that attracted me with white jasmine flowers and added: "No. 5, the Jasmin Chung Hao for me please ". At the Metropole hotel, even the signs are stylish! Another reason why I quickly put my hand on Jasmin tea is for the Vietnamese custom of serving a glass of tea next to the Vietnamese coffee. Actually, a few times we got quite a decent jasmine tea and this time I wanted it to be the main star. This delicate green tea is infused with Jasmine blossoms essence, which gives it the signature taste. Of course, there is palatable green tea, but the Chung Hao variety is lighter. 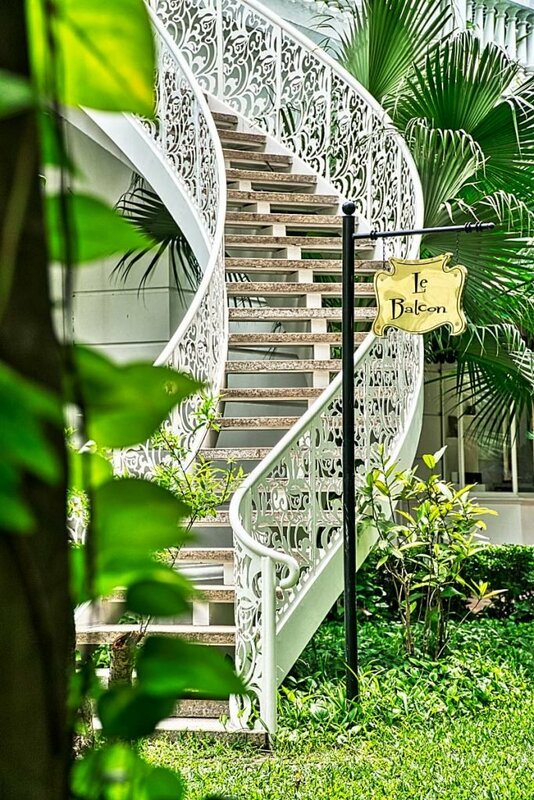 The only way to get to the green rooftop garden is via these romantic stairs, which are perfect for an Instagram photo session. Ian's green tea, the Melange oriental turned out to be a thirst quenching one. To prevent it from becoming too strong, he embraced the idea of the additional hot water. It never gets old watching him to drain the loose tea, and this one had an eye-catching addition of multicolored cornflowers and pleasant taste. By the way, for the Metropole Hanoi afternoon tea occasion, they serve the L'Epicerie du Metropole tea selection, which is also on sale at the Sofitel Legend Metropole L'Epicerie boutique. If you are fond of their tea, you can easily buy and take it home. 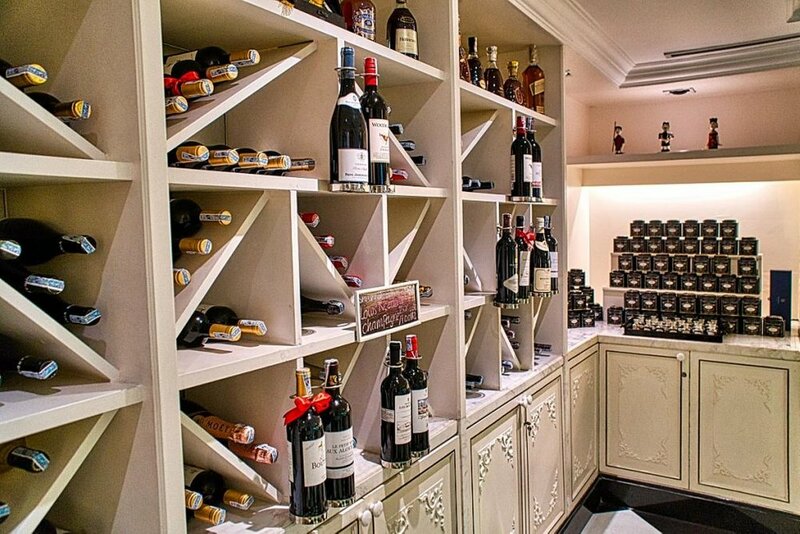 Offer at L’Epicerie du Metropole is full of fine French imported treats and freshly baked pastries as well as the exclusive Metropole tea blends. At the bottom of the three-layer sandwich stand each got three different tea sandwiches. I especially liked the creamy avocado sandwich, with a fresh cherry tomato slice on top. Avocado cream makes this sandwich smooth as butter, with acidity coming from the juicy tomato. On the other hand, Ian's favorite was the tuna sandwich, seasoned with caramelized onion. The last one was a classic salami and cheese sandwich with fresh zucchini for texture and salt reduction. It is garnished with the black olive on top for some contrast to the soft white bread. Hence all the finger sandwiches were freshly prepared and tasty we were eager to try some scones. 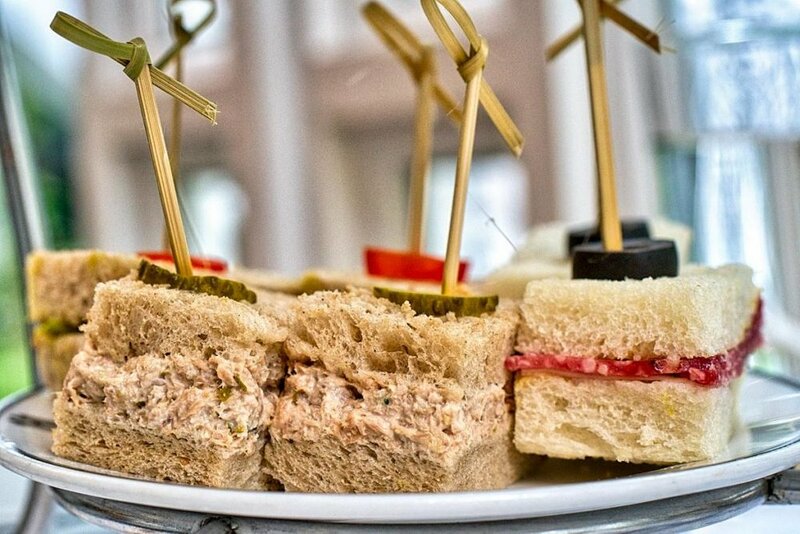 Metropole Hanoi afternoon tea: freshly made tuna sandwich, seasoned with caramelized onion next to the classic salami and cheese sandwich. Skipping the middle plate full of seasonal fruit I reached for the scones on top of the three-level pastry stand. At first, I thought that among the sweets were two financiers, but as it turned out I was only half right. The bigger ones were the raisin scones with sugar glaze. Ok, there was some “scones” resemblance but not really a scones category. Despite that cream and jam fit it well at every bite. For the afternoon tea occasion, we got to choose among the 21 blends of the L'Epicerie du Metropole tea selection. To my delight, the sweets plate was the biggest with all 8 pieces coming in doubles. Besides the two fruity cakes, there were also chocolate treats that made the option of chocolate buffet incredibly tempting. Oh, it melted too quickly despite the crisp pieces of hazelnuts inside the filling. Even so, I managed to keep a dignified face and loved the second praline - white chocolate with pistachio. Fortunately, there were more chocolate delicacies on the plate, so I nearly forgot about the temptation in the next room. Here at Hanoi Metropole afternoon tea, we had the opportunity to taste house-made chocolate: the dark chocolate with crisp hazelnuts inside the filling and pistachio white chocolate praline. For example, the flawless profiterole with a generous amount of chocolate ganache was to die for. A few French classics were also utterly delicious. The Madeline - small almond cake, had the white chocolate coating on one side to complemented the buttery and moist pastry. Another classic was the impeccable Madeleine with a touch of chocolate. So was the delicate macaron with white chocolate filling. Macarons are perfect A, with nice crunchy outside layer melting away and not sticky core. However, when I got to the creamy coconut mousse cake, I had no remorse left. Indeed I was happy to finish the afternoon tea sweets with strawberry and chocolate cube. Both were incredibly luscious with the fine pastry layer for the base and the rest comprising just the flavourful cream. All the sweets at Metropole Hanoi afternoon tea were absolutely delicious. Honestly, this part of Sofitel Metropole Hanoi afternoon tea is disappointing. 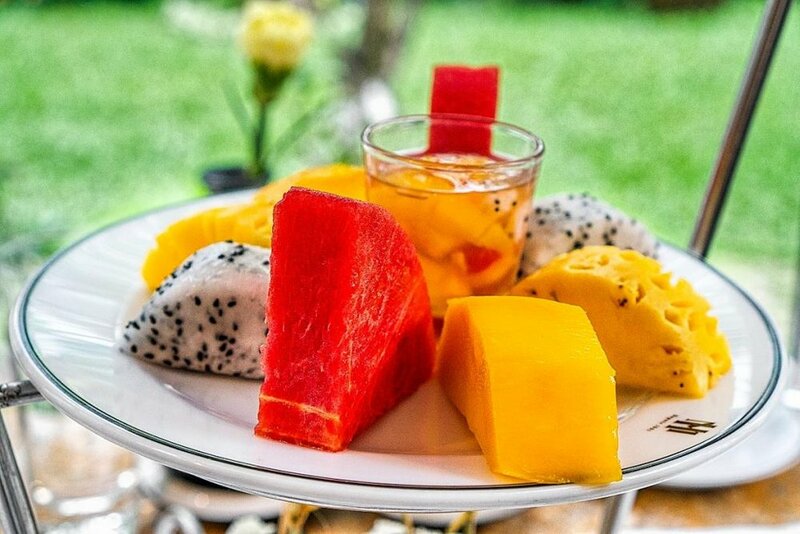 I didn’t visit one of the best afternoon teas in Hanoi to enjoy fruit. When I am in Asia every morning starts with a market visit, where I pick my fresh fruit. Here at the 5-star hotel, I prefer artisan cakes, French pastries, chocolate treats and a real scones. Reasonably, all the fruit pieces were of high quality, which lead to succulent mango, crunchy watermelon, and sweet pineapple. My favorite bit was the dragon fruit which had a small addition in the form of a citrusy coating. Honestly, this part of Metropole Hanoi afternoon tea is disappointing. I'd rather have some warm savories than fruit. 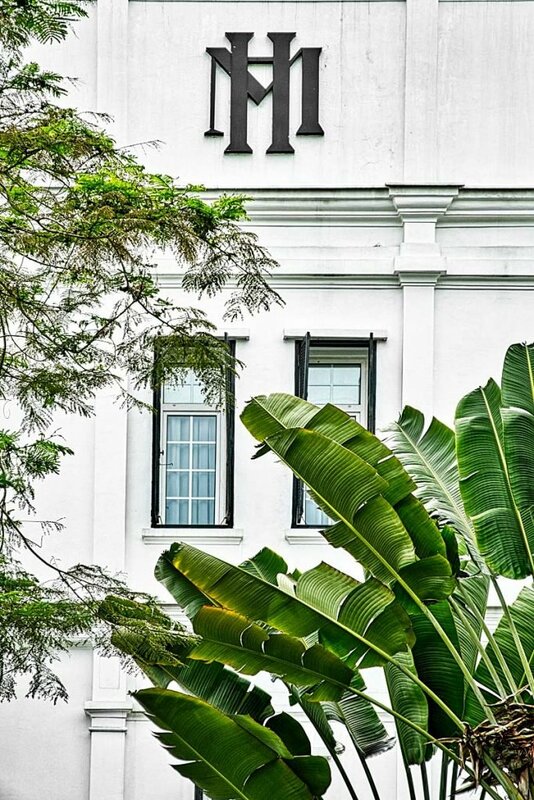 A far cry away from the Vietnamese capital and still part of the story is the Sofitel Legend Metropole Hotel. There were number of firsts for this place including the showing of the first movie in Indo-China. By now the name and the setting changed, but the Le Club bar still supplies a great deal of glamour to the Hanoi. A touch of 20's charm was also on our marble table in the shape of the silver sandwich stand with beautiful arch on top. 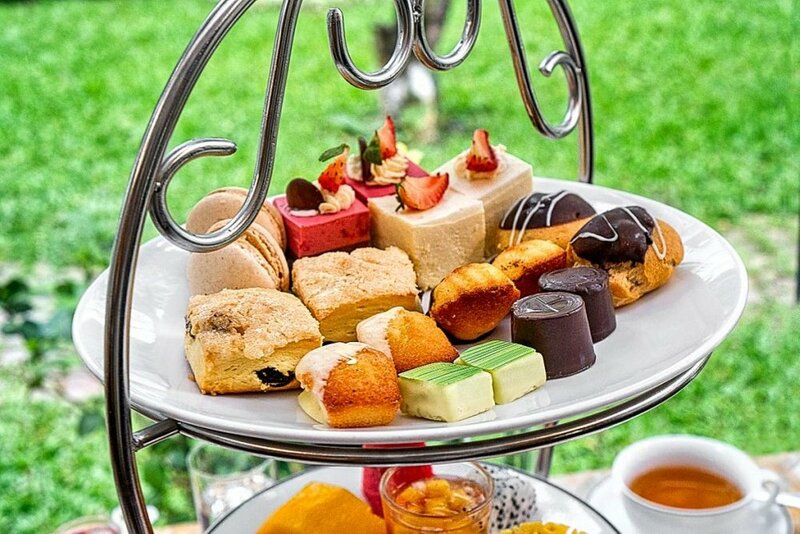 Part of it were classic afternoon tea treats which definitely apply to be one of the best afternoon tea in Hanoi. It was great to quieten down in a peaceful glass house surrounded by nurtured greenery. The only downside of Sofitel Metropole Hanoi afternoon tea are scones and a fruit plate. Surely it is nice to see some new variations of scones, but there should always be one plain classic scone aside. After all, you never know, maybe Queen Elizabeth II herself will enter that doors to indulge her afternoon tea. The other minus is a fruit plater of course. Like I said before, fruit doesn’t have a place at high tea, period. Ok, there is another flaw. A guy who served us didn't explain anything about Metropole Hanoi afternoon tea. If we would know about the chocolate library, we would order different. Even though I was fully satisfied and fed, I still felt the sizzling temptation of the chocolate library in the next room. Lord knows that next time when we will be in Hanoi chocolate heaven will be demolished. There is no turning back now that I've tried their house-made chocolate goodies. Thank goodness time let me go to the house boutique L'Epicerie du Metropole for some takeaway. 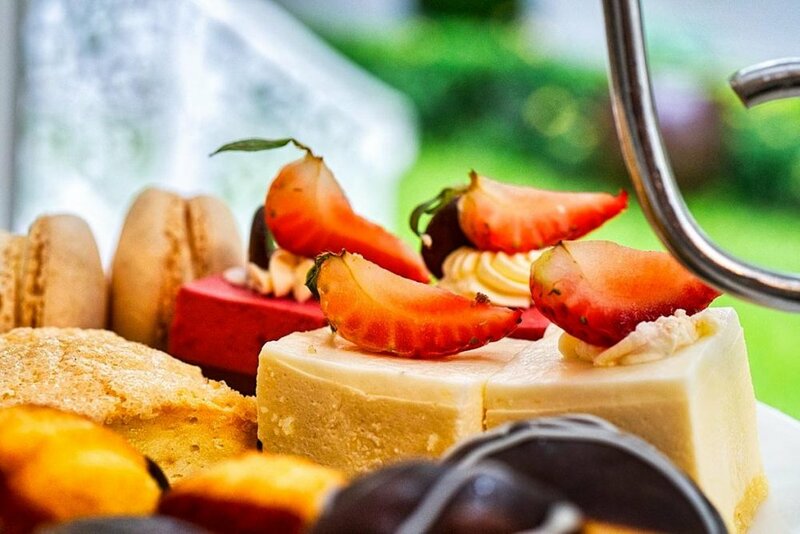 Metropole Hanoi afternoon tea is among the best afternoon tea in Hanoi. 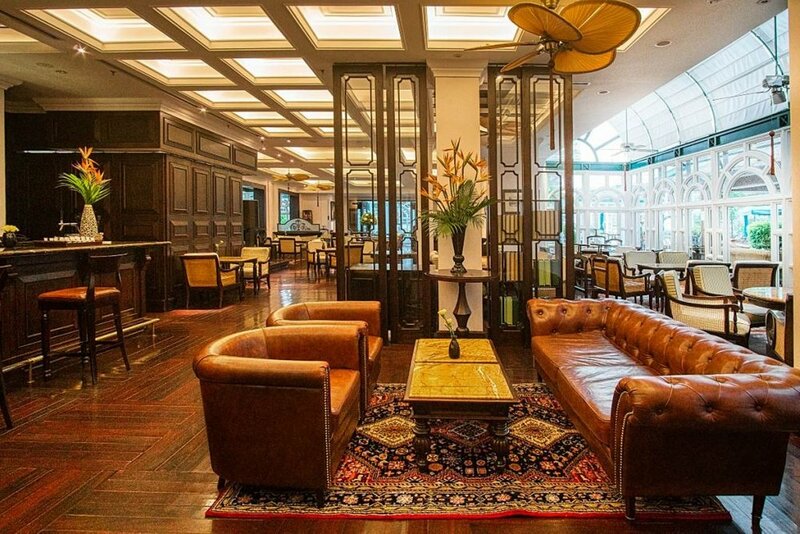 If you are a high tea lover, then you should check Metropole Hanoi Hotel's sister, Hotel de l'Opera Hanoi. They serve amazing Hotel de l'Opera Hanoi afternoon tea. The ambiance there is outstanding, as well. If you are more modern style lover and you like to dring your cup of tea above the skies, than Landmark72 afternoon tea is the one for you. You are welcome! Metropole Hanoi afternoon tea set for two persons will empty your bank account for about 25 USD. In a case, you don't know where Metropole Hanoi Hotel is, here is a link for easier navigation. Enjoy!